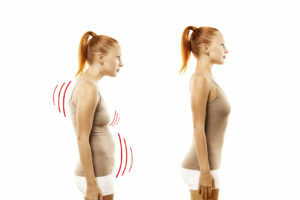 If you have been suffering from balance issues related to an injury, age, poor posture or any other reason, you may be feeling frustrated that your body isn’t functioning at peak performance. Problems with your balance can throw off your entire body, and may even put you at risk for injury. You may also be wondering if there is any treatment or therapy that can help you improve your balance, and get you back to feeling steady and stable, and you may have even sought help from chiropractors or trainers. However, to truly improve your overall balance issues, you need to address one of the key, underlying causes: a myofascial system that is out of alignment. Your myofascial system is the vast network of connective tissue that runs throughout your entire body. If this tissue becomes thickened or fibrous, it can pull your entire skeletal system out of alignment, which in turn, contributes to balance problems. One of the best ways to alleviate this issue, and bring your myofascial system back into alignment is through the process of structural integration, or Rolfing™. From professional athletes to retirees, Rolfing can help people of every level of activity achieve their optimal level of functioning, and bring their bodies back into balance. As a Certified Rolfer™ and Certified Advanced Rolfer, Bob Alonzi can help you understand how to improve posture and balance by directly addressing the problems with your connective tissue network. Through targeted Rolfing treatments, Bob can help restore your musculoskeletal alignment so that your balance and posture are significantly improved, and your sense of health and well-being is restored. Bob believes in providing a holistic approach to healing, and he understands that your body is a network of carefully interconnected systems. Through his Rolfing sessions, he works to ensure that he is treating the whole person, not just the problem. You don’t have to feel frustrated and out of balance anymore. Whether you just have more questions, or are looking for Rolfing in Los Angeles and the surrounding area, let Bob help you improve both your balance and change your posture for the better. To get started on the road to better balance, contact Bob Alonzi today.